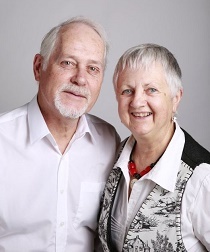 Get the greatest benefits from housing investment with our easy to follow on-line self-directed property investment education program, presented by John Lindeman and developed by qualified adult education teacher, Carolyn Tibbett. All of John Lindeman’s secrets and investment strategies are explained in easy to follow videos, presentations and downloadable templates. You’ll understand how the housing market works, see how to find areas with the best growth potential, discover where and when to buy, learn how to narrow down your search, decide what to buy, determine how much to pay and know when to sell. Current students use your discount code to renew for $696. Click here to renew. Widely respected as one of Australia’s leading property market analysts John Lindeman has spent well over ten years professionally researching the housing market with major data providers and revealed the secrets of his discoveries in his best-selling books, Mastering the Australian Housing Market, (2011) and Unlocking the Property Market, (2015) both published by Wrightbooks. His monthly column on housing market research featured in Australian Property Investor Magazine for five years he is now a regular contributor to Your Investment Property magazine. He is a also regular contributor to Ken Turner’s Real Estate Talk, Michael Yardney’s Property Update and Alan Kohler’s Eureka Report. Carolyn has over 30 years successful property investment experience and is a qualified adult education teacher. She has spent many years analysing the leading indicators and key demand dynamics of every type of housing market and presented the results for the benefit of property investors in predictive reports, social media and popular on-line newsletters such as the 7steps2success and the Lindeman Reports Newsletters. 7steps2success distills Carolyn’s years of adult education experience and property investment expertise into a unique on-line education program specifically designed for the benefit of housing market investors.